With Per Mertesacker supposedly readying himself to hang up his boots after the 2017-18 campaign to claim a role in Arsenal’s academy set-up, the Gunners are understandably on the hunt for a successor for the pioneering German World Cup winner, and it’s believed that the Premier League club sent a group of scouts abroad to monitor FC Porto’s Diogo Leite, who has allegedly been earmarked as a potential candidate. Featuring for Porto’s U19 contingent which scalped Tottenham Hotspur’s development ranks 2-0 in the UEFA Youth League earlier in the week, Portuguese outlet Record understands that Arsenal representatives were indeed in attendance to gauge the 19-year-old’s astute performance against the hapless Lilywhites. The soaring centre-half sprung above his marker to notch the encounter’s opening goal against Spurs, a strike which ultimately condemned Tottenham’s fledgling professionals to an early exit from the continental competition, so it’s presumed that the flourishing defender has already ticked a number of notable plus boxes due to his lethal, influential contributions on the turf. Leite may be impressing as an understudy and contracted to the Liga NOS outfit until 2020, although having not made a senior appearance for his employers to date, it’s thought that the Portugal U20 international could be lured to pastures new, if he isn’t blooded at full senior level by the Dragões before an alluring offer is tabled, that is. The north-Londoners are not alone in their pursuit of Leite, however, as it’s been highlighted that fellow domestic counterparts Everton are also hot on the sprouting centre-back’s heels, with the Merseysiders being driven in their aspirations of writing a new, glittering chapter in the club’s extensive history. 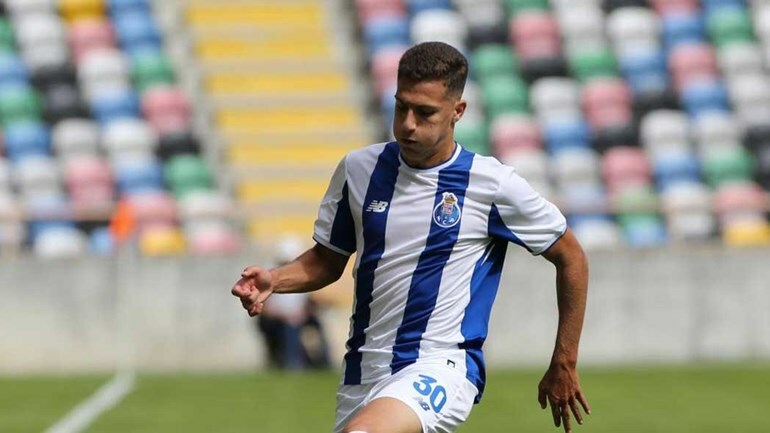 Share the post "Arsenal send scouts to monitor 19-year-old FC Porto defender"